New Delhi: Her frequent losses in the finals and the accompanying criticism does not affect ace shuttler PV Sindhu, who on Saturday said that playing in the summit showdown of a tournament itself is "a big achievement". Sindhu, an Olympic and World Championship silver medallist, settled for a silver after losing a close final to compatriot Saina Nehwal at the Gold Coast Commonwealth Games last month. 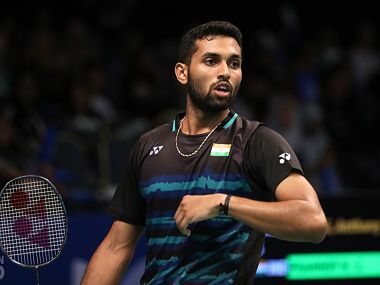 It was yet another final loss for the 22-year-old, who had faced defeat in the summit clashes of Rio Olympics, Glasgow World Championship, Dubai Superseries Final last year and All England Championship this year. "It doesn't really affect (me). People might be talking but I think reaching the finals is itself a very big thing," Sindhu said on the sidelines of a felicitation programme organised by the Badminton Association of India. She added, "Before I used to lose in the quarter-finals, semi-finals but now I am reaching the finals, so I am going a step ahead. "I might lose at times which are very, very close matches, it's her (opponent) game or my game in that situation, so if you lose it's not like I regret anything but I would learn from the mistakes and try to come back stronger." Sindhu lost in straight games at Gold Coast, though she did manage to stretch Saina in the second game. Sindhu said she was looking forward to the Asian Games, scheduled to be held in Indonesia in August-September. "The Superseries tournaments are there but Asian Games is also a priority. In Asian Games, competition is very tough and I would give my best to win there. Let's see how it goes." Asked about her rivalry with Saina, she said, "The rivalry is always there but I think it is very good for the sport, and when it comes ton-courtrt rivalry, only one can win. So I want to win for myself and she wants to win for herself. "Off court, we are just normal people. We have different schedules (training)." Sindhu praised coach chief coach Pullela Gopichand for playing a role in the rise of badminton in India. "Gopi sir has played a very important role in everybody's career, the dedication and the way he is focussed, he is there training from morning to evening. He has sacrificed so many things for us." Meanwhile, BAI president Himanta Biswa Sarma played down the controversy around Saina threatening to pull out of the Commonwealth Games after her father was denied accreditation. "I only wish to say that Saina is the pride of our country."